Kaizen Consultancy offer many services such as the production of a comprehensive occupancy survey report, data asset management or plans of your office - enabling you to make informed decisions about your business. Office Space Surveys - This type of space utilisation survey monitors people occupying desks within an area/floor/building and noting their activity at the time surveyed. The survey is conducted at regular intervals during the day, over a period of one week, giving you a detailed and when needed analysed office occupancy survey report. As-built Floor Surveys - Up to date floor plans, for your office or floor are key to ensuring optimal utilization of desk space for your business. Data and Asset Capture Surveys - Surveys of this type are generally carried out when businesses wish to get up to date information on names to desks. 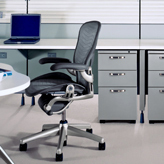 We can also act as your Move Consultants having a wealth of experience in project managing office moves. Our team ensure that your move experience is smooth and seamless, with as little interruption to your daily business activities as possible. Any and all of these services can be tailored to meet your individual business requirements. Our team can just produce you a report that meets your needs or when required analyse the data for you and make recommendations based upon your instructions. Being independent means we have no hidden agendas and everyone involved can rest assured that the recommendations we make are truly what is best for the business. Contact us anyway that is convenient for you or discover more about us or learn what Kaizen means by reading some of our other pages. Kaizen Consultancy will complete office occupancy reviews, reports and utilisation services in any format you need, when you need it. So, get in touch to see how we can help you and your business.